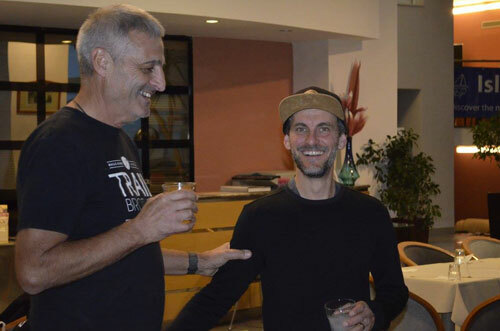 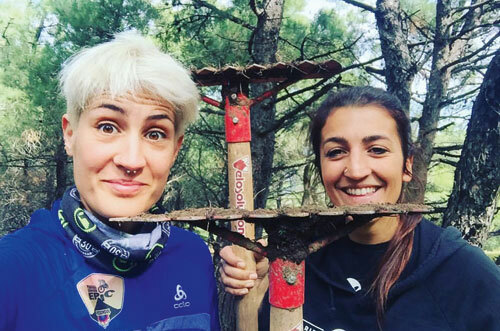 The first international trail building week in the Aegean, instigated by Ernesto Hutmacher from the bike hotel Massa Vecchia and the tour operator Islandhopping. 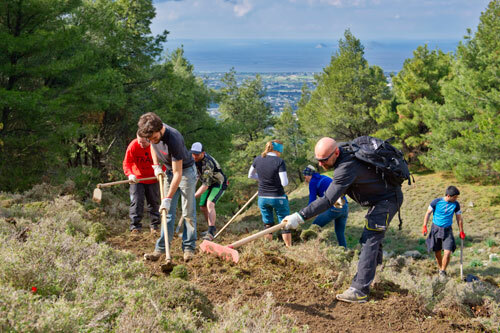 Greeks, Germans, Italians, Swiss and Turks working together side by side with pick and shovel and a great deal of contagious enthusiasm in creating the first official mountain bike trails on the islands of Kos, Patmos and Lipsi. 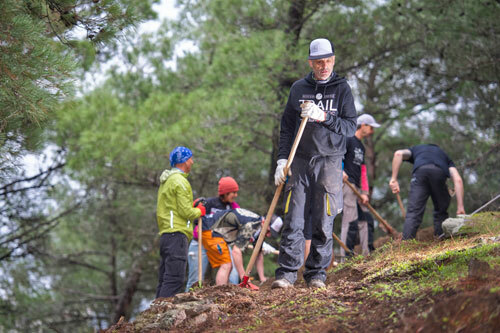 The Greek outdoor videographer, Emanouil Armoutakis documented the essence of the week in a unique way in his inspiring trail building week video. 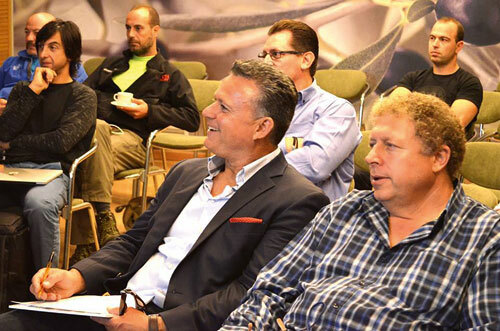 From vision to fixed goals: the first gathering of representatives from the local communities to various service providers in the tourist industry throughout Greece who believe in the potential of active tourism throughout the Aegean in providing an economic advantage to the region. 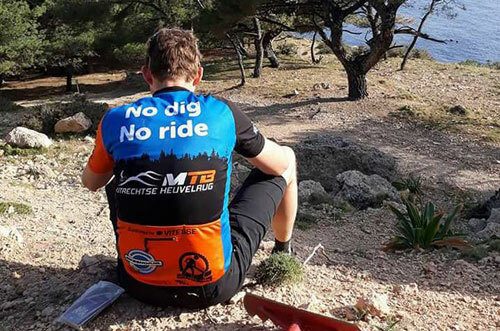 The brand, “Aegean Trails” is born and stands for organized trail construction and the international marketing of the Aegean as a MTB destination. 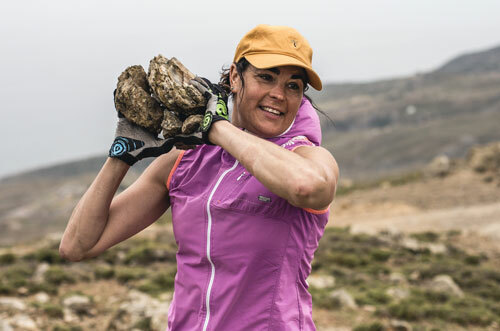 Build & Bike – Meet the locals: that is the slogan of the second trail building week on Kos and Leros with the aim to improve the existing trail network. 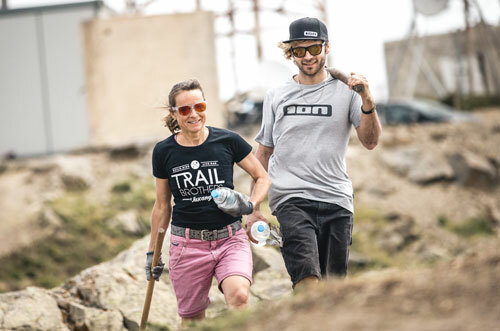 18 international trail builders gathered with the locals and extended the trail network significantly. 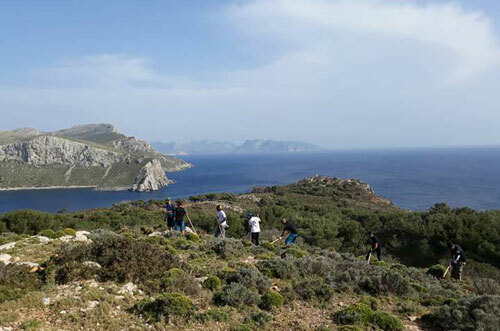 Kos and Leros should serve as model examples for a unified and coherent signposting of the trail network for bikers. 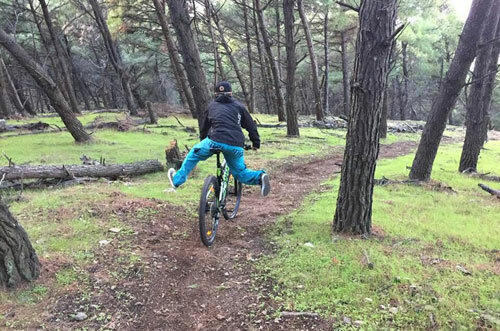 The currently envolving bike region – the Aegean is now online! 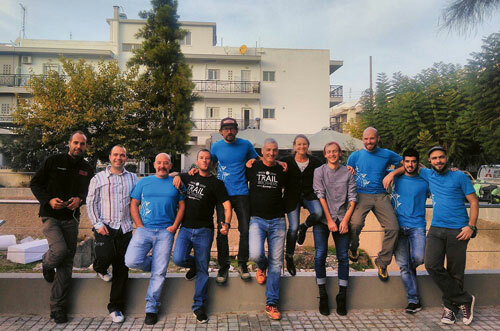 Aegean Trails is a trilingual info portal – made by bikers for bikers. 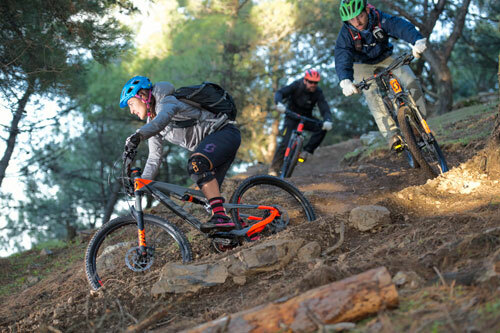 Outdoor fans will find an array of care-free activity bundles for their recreational time on two wheels: tour suggestions, bike friendly hotels, service centers, gastronomic and cultural highlights as well as tips about specific places of interest.